A story about family, love and finding magic in everyday life, Days of Wonder is the most moving novel you'll read all year. Tom, single father to Hannah, is the manager of a tiny local theatre. On the same day each year, he and its colourful cast of part-time actors have staged a fantastical production just for his little girl, a moment of magic to make her childhood unforgettable.But there is another reason behind these annual shows: the very first production followed Hannah's diagnosis with a heart condition that will end her life early. And now, with Hannah a funny, tough girl of fifteen, that time is coming.Hannah's heart is literally broken - and she can't bear the idea of her dad's breaking too. So she resolves to find a partner for Tom, someone else to love, to fill the space beside him.While all the time Tom plans a final day of magic that might just save them both. 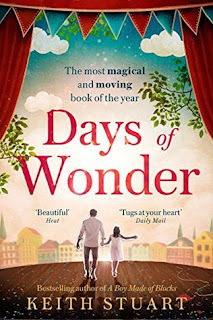 Days of Wonder is the stunning follow-up to Keith Stuart's much-loved debut A Boy Made of Blocks - and a book to fall in love with. Delightfully wonderful!! This is one of those books that I was a little apprehensive in picking up, after loving The Boy Made of Blocks so much, as I always worry that the follow up won't be as fabulous. 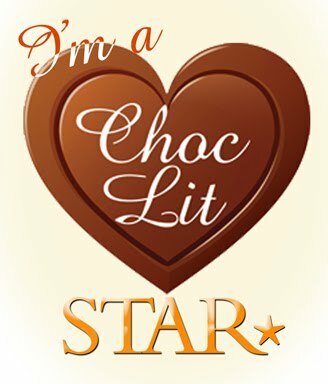 But within a few pages I was emotionally involved with the father and daughter who this story revolves around, and the tenderness and respect between these characters was just so charming that you cannot help but keep turning the pages as you are eager to find out what challenges they are set to face and hopefully conquer! There's always been a strong bond between Tom and his daughter Hannah, as he has bought her up on his own and has had to be there for her as she fights her illness, a heart condition that has led to many restrictions on her life. But they've faced these things together and  he's always looking for ways to make each day more magical for her, and each year on her birthday actors from the local theatre that he runs, put on a play for her. Within the group there are such a wide range of characters that add a nice mix to the story, and they all become like a little family as they're all so involved with each others' lives. Hannah is always a realist though and is looking for her dad to find some happiness and so the story is also told from her point of view as she shares her own viewpoint on how challenging she finds her life and those that she meets along the way. She soon becomes close to Callum at her school, and he's not without his own problems, so she gets him involved in helping to find some romance for her dad. I loved how the story went between the two characters, and the supporting cast were also fascinating to read about that there was always something going on and new to discover. It helps put the 'now' into perspective and to appreciate those little things that can make each day special in  its' own little way! 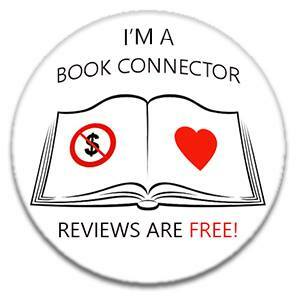 It was a touching, emotional and humorous book that was a delight to read! !